Tuffa offers a total design and build service for bespoke tanks. Browse some of our case studies below or contact us for more information. 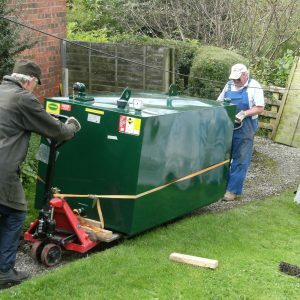 Tuffa can provide customers with a bespoke service on tanks. We can design and produce tanks to meet your individual requirements, with up to 20,000 litre capacity in plastic and 200,000 litres in steel. Our production facility is capable of manufacturing plastic tanks without seams or joints in one piece, and our highly skilled fabricators can manufacture any steel structure to your exact specification. 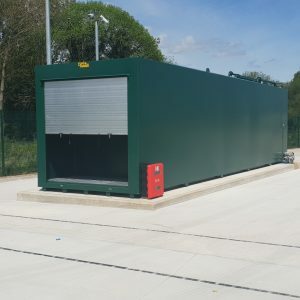 We can also produce totally bespoke steel tanks providing a full project management solution service from specification and design to manufacture, fitting dispensing gear and painting, with the option of a full delivery and installation service. We produce bespoke plastic tanks from 1000 litres up to 20,000 litres with the option of increasing capacity by interlinking two or more tanks. We offer a full production service from design to installation on large plastic tanks and storage containers. We are committed to the highest levels of customer service and quality control and rigorously test at every stage of production to ensure your compliance with all current regulations. Dual and multi-compartment tanks are available in both plastic and steel, and plastic tanks can be housed in a steel outer for additional strength and security. We can finish your tank with a choice of accessories and applications for ease of use and to meet your personal needs. In addition, we have a wide selection of finishes, colours, branding and accessories available. Please call our Sales Team on 01889 567700 or contact us to discuss your requirements and we’ll design, produce and accessorise a bespoke tank to meet your exact needs. 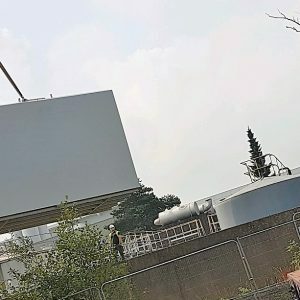 NHS Trust Tuffa and Andel to rush new oil tank to hospital. 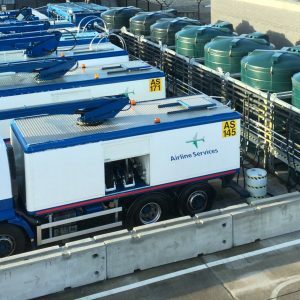 Tuffa De-Icer Tanks help keep Manchester Airport Flying! Tuffa Water Tanks get new Leicester City Media Centre off to a winning start! "A Top Service Provided By Tuffa Throughout"